MERCERSBURG - Even good teams sometimes need a game or two to kick the rust off. James Buchanan's softball team didn't, though. A year ago, the Rockets were the co-Mid Penn Colonial Division champions, and after Thursday afternoon, it's clear they're trying to make another go at the title. JB defeated Northern York, 11-1 in six innings. "Talking to our girls, I knew they had lost a couple players from last year, so we tried to prep the girls and pump them up by saying they're down a little bit," Polar Bears coach Kurt Kluck said. "Bu tthey're not down. They're really good." In addition to racking up 11 hits, including four for extra bases, the Rockets also got a fine performance from Nina Shatzer. She threw the first five innings and needed only 42 pitches. She fanned just two batters, but allowed only two hits. 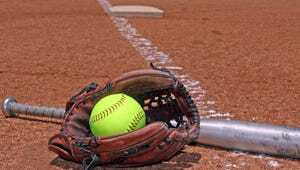 "She did a very good job of keeping the ball down, and her curveball was doing a good job of breaking away," JB coach Troy Pittman said. "She rolled some grounders, and we even turned a double play there. She had a very efficient game for her first time on the mound." Shatzer was also one of two players who had a hot bat for the Rockets (1-0, 1-0 MPC). She went 3-for-4 with a pair of doubles and knocked in four runs. Only slightly behind her was Charity Miller, who finished with three hits, three runs scored and three RBIs. "Taryn (Miller) was helping me out, telling me to close my eyes and focus on getting a really big hit," Charity Miller said. "I took her advice, and it really worked for me. It's definitely different with people (in scoring position). I want to bring them home because I need to do that for my teammates." Charity got the party started early for JB with a two-RBI double in the first inning to give the Rockets a lead they never relinquished.